Lately, I've been getting a LOT of requests for me to post a typical day's meals. I used to openly share my food logs, but every time I did, I would get comments criticizing me for too many carbs, not enough protein, too much fat, not enough vegetables, too much sugar, unbalanced macros, too many grapes, and about a dozen other things. My diet isn't perfect. Far from it, actually! However, it's a hell of a lot better than it was when I was obese, and the way I eat now is keeping me binge-free (today is Day 199!). I eat foods that I enjoy, skip the ones I don't, and I am very happy with that. Maybe someday, I'll start trying to make healthier changes; but for right now, I'm good with the way I eat. All of my health stats are good--I have the numbers checked annually, and I am perfectly healthy. The only number that is regularly too low is my blood pressure (which is what caused me to faint). The cardiologist who did all the testing after my fainting incident in 2010 told me to eat a higher sodium diet to keep my blood pressure from dropping too low; so, in planning out my meals, I don't try to limit my sodium. I just thought that was worth mentioning. I don't really have a "typical" day, because I eat whatever sounds good to me that day. However, I went through my food logs and pulled several things out to post here. As I've mentioned before, I don't snack--I eat breakfast, lunch, dinner, and a nightly "treat". I don't usually get very hungry between meals; but if I do, I'm okay with that. Food tastes best when I'm hungry, so I like to feel hungry before I eat. That said, here are some examples from my food log. In addition to what is listed, I may add something else on the side to each meal. It just depends on my food plan for the day, and how many calories I have to spare. When I plan out my food ahead of time, I typically keep it to around 1500 calories, and then just add to it if I'm hungrier at each meal. By the end of the day, my average calorie count is usually between 1600-1900. Hostess Fruit Pie- apple (450 calories)- When I first started calorie counting, and I felt so much freedom to eat whatever I wanted, I ate these a couple of times a week! I absolutely love them. After getting that out of my system, I don't eat them very often anymore. Now I buy the mini version, and have it for a treat sometimes. *A lot of things I cook for dinner are found on Pinterest. You can see my pins there for other ideas. As far as drinks go, I drink tons of water (usually at least three quarts a day). I also like La Croix seltzer water, so I have one of those each day. Occasionally, I'll have diet tonic water with lime. The only calorie-containing drinks I usually have are wine, an occasional light beer, tea with sugar and half & half, and if we go to the bar or something, I'll have a vodka tonic. I don't really like soda or juice, so I don't drink them. So that's about it! Like I said, nothing special or magical. Just foods that I like, regardless of how healthy or unhealthy they are. In the past, whenever I've tried to cut out processed foods, or sugars, or anything like that, it backfires on me big time. My diet now isn't great, but it isn't terrible, either. And I'm happy with it. I too don't keep my food log very open due to the comments, it's SO annoying! Love that treat photo! I was so excited to eat my first Cadbury Cream Egg of the year yesterday, and I love red wine too. It's nuts that people would comment and criticize your eating. I'm so impressed with your recent weight loss, I'm trying hard to follow in your footsteps. :) Good job!! Seriously...if people don't have anything better to do than criticize someone who is managing her weight in the best way possible for her; then they need to get a life. Kudos to you for being you. You know what works for you in your real life and that's all that matters!! Thank you so much for sharing!!! I have found that I have so much more success and healthier relationship with food now that I just eat things I like and don't pay attention to whatever thing that's popular this week to vilify. (ie carbs, dairy, gluten, meat, etc). I actually love things like salads, but allowing myself the freedom to fit other things I love into my daily life like chocolate or ice cream has allowed me to stop feeling constantly anxious and "bad". The weight consistently comes off each week, so the proof is in the pudding (and I'll eat that too, especially if it's chocolate). I am amused that people criticize and throw shade at your food when you are in the 120s. Pretty sure what you're doing is working lol. 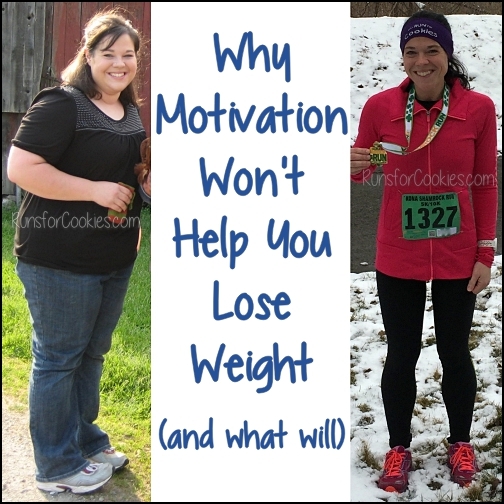 This is what gives me hope that I can lose weight! Every time I've tried diets I end up gaining it back because I can't eat that way forever. Restriction is a negative mindset. This is very interesting to see what you typically eat, especially in light of your recent weight loss. I've recently started tracking macros and I'm enjoying my meal planning x1000 because of the variety of choices. I track in MFP because I can't be trusted to estimate or eyeball it! Ha! What works for you obviously works. 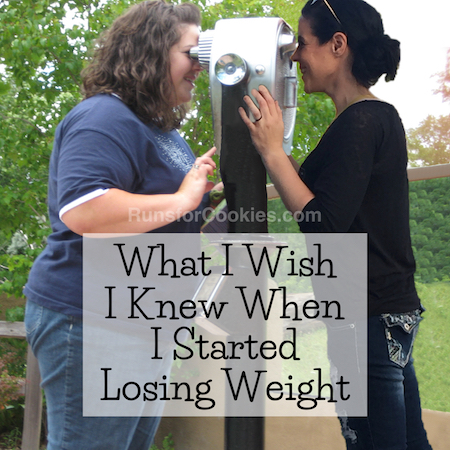 Isn't maintaining a significant weight loss one of the most stastically challenging things to accomplish? Bravo Katie and you do it in a healthy, enjoyable way. Thank you so much for sharing! This post is very helpful by giving me different meal and snack ideas with general calorie info. I often attempt to eat the same healthy options until I binge on junk so I appreciate this. I don't usually comment on your blog - although I read & follow. I just thought I'd comment to give you support for having posted. It is evident throughout the post that you were cautious and had been hurt by criticism before. 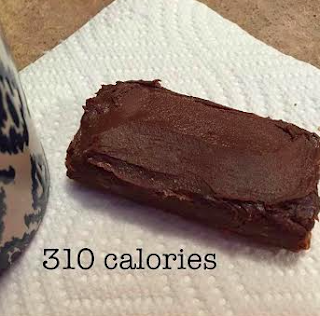 I e-mailed you a couple of months ago and mentioned that I, too, have ended up realizing that I do best when eating whatever and counting calories. I actually _like_ lots (and lots) of veggies, but I can't stand much protein and when I try to increase protein it drives me crazy. So I no longer try. Thank you so much for sharing! You are doing an amazing job and I am so proud of you! Weight loss and maintenance is not easy, finding what works best for you takes time and commitment. Thank you for sharing your journey. You have encouraged and motivated me more than you could ever know. I am trying to follow in your footsteps by only making changes I am willing to keep and only eating what I truly enjoy :-). So far it is working for me as I have lost 50 lbs. Now if I can just get past day 1 of couch to 5K! Thanks for sharing! I was wondering if you still drink dessert teas from DavidsTea? I'm currently drinking their new Pistachio Ice Cream black tea and it's so amazing! YUM! I hadn't heard of that flavor, but now I want to try it for sure. I do still drink David's--it's so delicious! I don't know if any of the grocery stores up there have Krispy Kreme products, but if they do you should try the Krispy Kreme mini pies - look exactly like Hostess but seriously twice as good. Something like 220 calories each. They come in apple and cherry. Yum. Hostess Fruit Pies- my son's favorite! Thanks for the inspiration! You are amazing! I haven't thought about a Hostess fruit pie in years...but now that's all I'm GOING to think about all day, lol!! I was just wondering the other day what you eat. :) Thanks for sharing! I hate that you have to give a disclaimer like that! I appreciate you sharing as well. I've never tried a lara bar...I may have to try them! It's sad that people feel the need to criticize other people. I really appreciate your sharing this, especially now! My husband and I are starting a new program tomorrow with an athletic trainer. My hubby doesn't like very many fruits and veggies so it's difficult for me to make good meals that meet both our needs. I'm going to show him your food diary so he can see that nothing is off limits if he can just pay attention to the total numerous of calories. I really love your blog Katie! Hopefully you get enough support from your readers to drown out the negative Nelly's! Thank you! Thank you! Thank you! I would love to see more posts like this. Your common sense approach is so realistic it gives me hope that I may be able to do that too. I can't imagine someone criticizing your food, you've lost over a hundred pounds and have kept it off for years! You seem pretty healthy and you give hope for people like me that I can do this, thanks for posting. Thank you so much! Truly. This is very helpful for me since I've kind of overwhelmed myself with too much food information reading on everything from paleo to vegan diets--I LOVE reading about what food can do to the body--and following a few physique athletes on FB. It's fascinating to me but all that info has me feeling like I don't know what to eat anymore. That and the fact that when I add a healthy-sounding recipe to MFP and it comes back to tell me an average size serving is way more calories than I thought, seeing what you eat--the different foods you like to put together because that's what you happen to be craving--aren't a TON of calories. And speaking of getting overwhelmed, Pinterest is the biggest rabbit hole to me. What words do you use to search for the stuff you find? All that looks delicious! This is awesome. I, too, find that when you don't make a whole bunch of foods as "No" foods that it is easier to follow a calorie number goal. Way to go! You are doing an amazing job so keep it up. 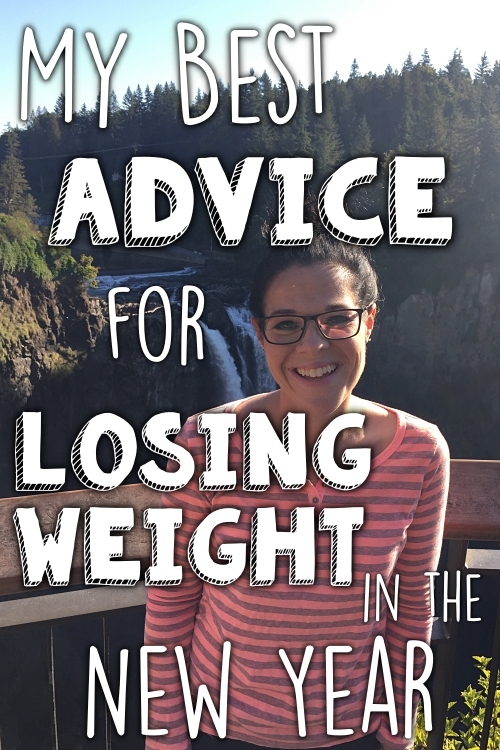 I am a health care provider, and I've started sending women who need to lose weight to your your blog, as you are so humble, so down to earth, so honest and so successful at losing weight!! 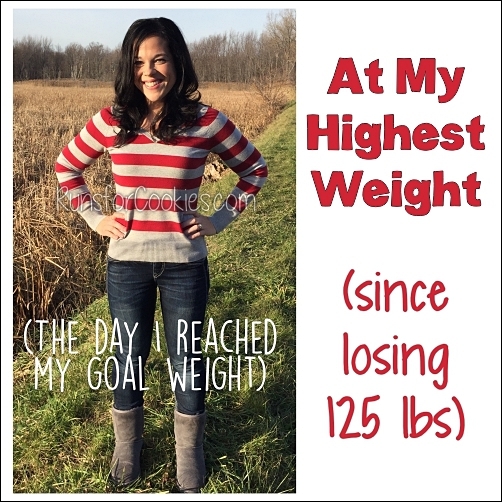 I have not been able to lose weight for a year, and after being inspired and informed by you, I have lost 5 lbs. Sounds tiny, but for me, is huge, and only have 5 more to go. Thank you so much for you! This is really helpful! Thank you for sharing, Katie. Thank you for sharing! Your blog has been so inspirational for me, though I am currently extremely frustrated in my own journey. I am , weigh about and track using myfitnesspal, averaging about 1450/1475 calories per day and the scale will not budge. Any suggestions? 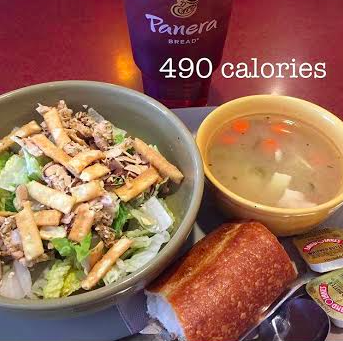 Do you think I could be eating too many calories? If I eat more I gain. Well, every body is different, so you probably have different calorie needs than I do. But, do you weigh or measure your food? I find that when I don't measure things, I tend to eat more than I think I am. I understand how frustrating it can be! I would suggest experimenting with different calorie amounts to find what works for you. Good luck! Good for you Katie. You have found the winning formula that works for YOU and that is really the most important thing. Your diet and routine obviously might not work for some people depending on their body make up, exercise regiment and personal health numbers, but it's nice to see proof that there can be different approaches that DO work for the same tired old story on the RIGHT way to lose weight. Once people realize that trying out different things and trial and error are the keys, the big mystery is not so mysterious anymore. But, society has been brainwashed into feeling that there can only be ONE way to lose weight even though there are millions of variables in human beings. And so many people think that what works now for them will always work and then they get discouraged when it doesn't anymore. This is a journey as they say. It never ends. Just like learning. Great job on your weight loss. Keep up the good work. Where do you find this magical peanut butter???? Although, I am somewhat afraid to ask--I have a Nutella problem; as in, I can't have it in the house or I'll eat it all. I buy it at Kroger. It's from Peanut Butter & Co. I have the same problem with Nutella, but this peanut butter isn't nearly as sweet, so it's not a problem for me. Might be worth a try! I also love calorie counting because it gives you the freedom to eat whatever you want! 1500 calories doesn't seem like enough for you with all of your running! No wonder you're still losing weight every week! If you read my Wednesday Weigh-in posts, you'll see that I eat 1800-1900 calories a day. I'm sorry, I must have misunderstood this part "I typically keep it to around 1500 calories, and then just add to it if I'm hungrier at each meal." I see you've added another sentence noting that you end up at between 1600 and 1900. Thank you for the clarification! This all looks delicious! Will be trying this once I got home! 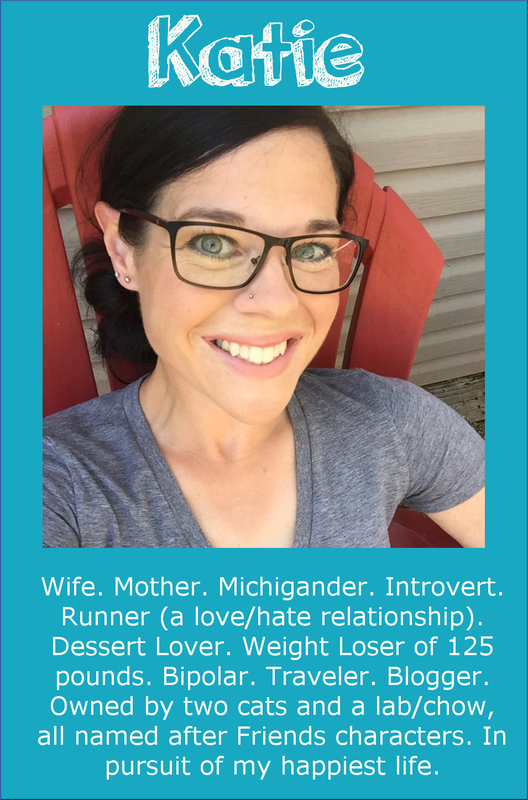 Thanks for sharing your favorite foods and for continuing to blog. I come here for encouragement and motivation. 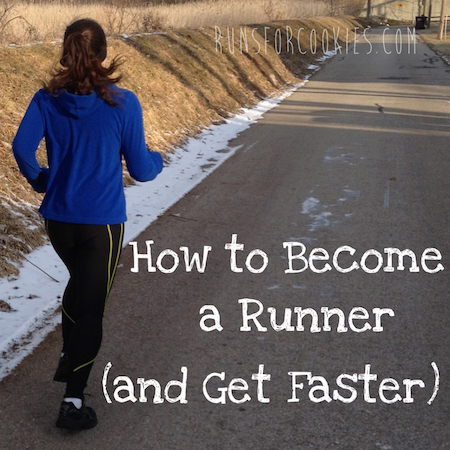 I thought of this blog when I did (very short) run / (very long) walk intervals the other day as I try to get back into running more regularly. Thanks for the inspiration! This was really interesting to read, thanks for sharing! I'm planning my meals out with calorie counting this week, and it's always fun to see what other people eat. Thank you for sharing it is encouraging to see someone be able to lose weight eating "normal" foods. Sorry you have had to endure criticism thank you for being willing to open up to share and help others!